Art enterprises of Lee Barry, musician, writer, and artist. Conceptual ideas, abstractions of nature, metaphors, and influences of various periods in art history provide the inspiration for most of my projects. 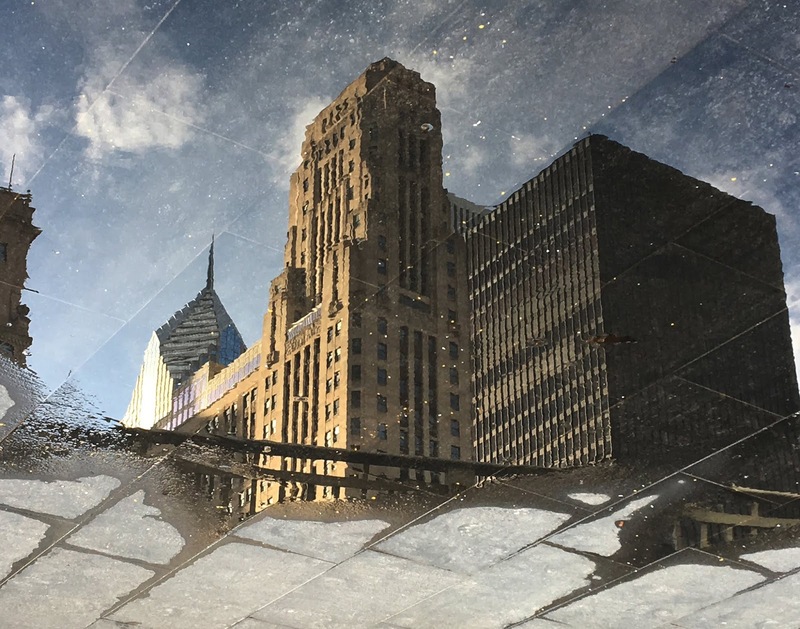 A "puddle pic" of inverted Chicago architecture, (L-R, Moderne style, Art Deco, International style).